SCH will handle around 60 cruise ships per year calling at Liverpool Cruise Terminal following the award of the contract by Liverpool City Council, initially for two years and with an option for a further year. Sister company Cruise and Passenger Services (CPS) already provides valet car parking services for passengers joining cruise ships in Liverpool. SCH and its sister companies are recognised as the UK’s most extensive cruise ship handling specialists, with operations in Portsmouth, Oban and Southampton. The company, which has been established for 25 years, currently handles more than 200 calls a year by cruise ships at ports throughout the UK, with the emphasis on recruiting specialist labour locally through its personnel company Pathfinder Personnel. The company plans to utilise a total of up to 50 personnel for stevedoring and valet car parking operations at Liverpool. 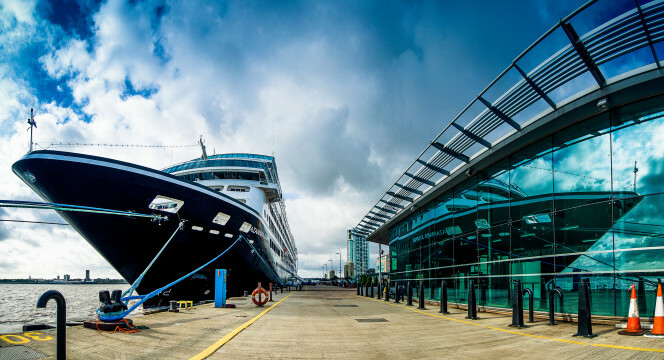 SCH will provide baggage handling, stores loading and mooring services for the increasing number of cruise ships calling in Liverpool, with the contract becoming fully operational ready for the start of the 2016 season in May. “We have a strong relationship with the major cruise lines calling in the UK who rely on CPS and its sister companies to provide passengers with a first class experience in the ports where we operate. As cruise ship handlers, we provide services for more than 300,000 passengers a year and we look forward to helping Liverpool continue to build its reputation as a leading force in the UK cruise business,” added Mr Hulme.